Featured in the Cruise 2019 collection presentation, the incredibly luxurious and highly functional MI-NY bag is new for the season. It is crafted from calf leather that has been specially treated to create a metallic hue and grainy texture. 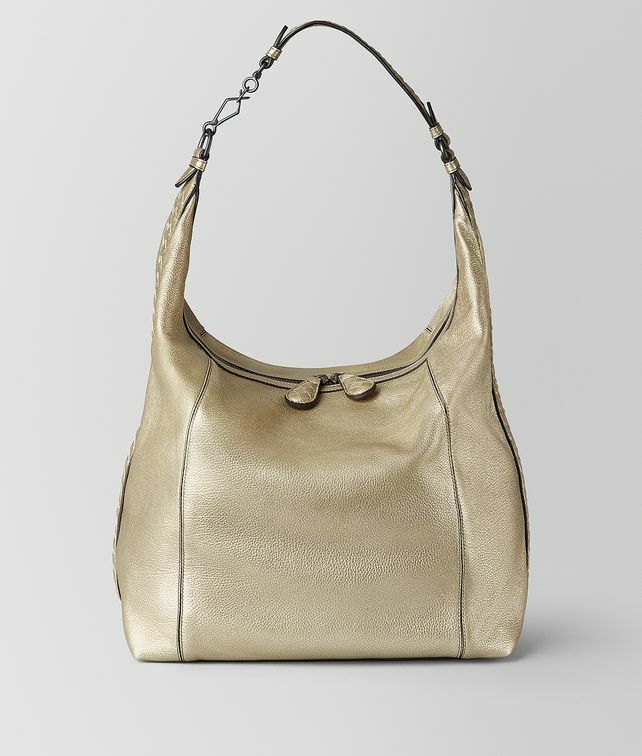 The exterior of the hobo-style bag is detailed with a slim intrecciato panel running along the side. The capacious interior features one zipped pocket and one flat pocket. Finished with an intrecciato shoulder strap, oversize hand-woven zip pulls and brunito accents.